“When you do it right, the uke’s hand might even get caught in your gi jacket.” ~ Sensei Durand speaking of the “lateness of the Tenkan Blend” in Nutley, NJ. So how do you get uke’s hand caught in your jacket? Well, at the last second, Tenkan! Tenkan 1 is what you get when you are in shizentai (natural stance), and you step BACK into a hamni stance using a reverse hamni step. 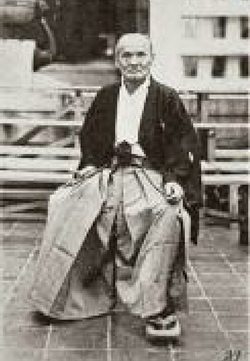 The Tenkan 1 movement has two versions. 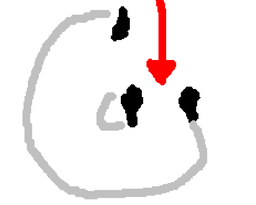 In a basic Tenkan 1, you simply step back using the reverse hamni step, and your orientation has not changed. You are still facing the same direction. 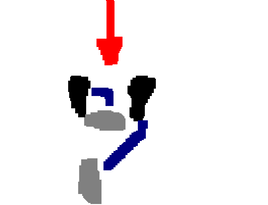 This is the movement you see on Twist The Ankle Against the Knee. The other variation of Tenkan 1 is manifested when you finish your Reverse Hamni Step with a Hamni Turn (Tenkai pivot). Here you have not only opened the door, but you have also reoriented your body a full 180 degrees. Adding this Hamni Tun (Tenkai Pivot) creates the movement you see in the Whip Throw, Wheel Throw, Arm Bar Throw, and Two Hand Wheel Throw. This is the specific movement Sensei Durand was describing to me ~ with the possibility of getting uke’s hand caught in my jacket. Tenkan 2 is what you get when you are in shizentai and you step AROUND into hamni. This movement creates a 180 degree rotation naturally ~ with no need to pivot. It is the movement you see on The Unbendable Arm and Unbendable Arm Against the Kick. To execute the Tenkan 2 properly, the focus must be to transverse a full 180 degree rotation. Because it is such a big movement, I find myself calling it the “Big Blend.” I think it also helps to think of the movement as one akin to the movement of a revolving door. In fact I distinctly remember Sensei Durand executing a Tenkan 2 movement on an attempted backhand attack in which he rotated an astounding 540 + continuous degrees ~ and never got hit. Tenkan Applications: How Can You Use The Movement To Your Advantage? Well I’d say you can apply the movement at will, because movement is technique. The first conscious time I realized that “movement is its own technique” was in one of my attack lines on the way to sho-dan. Let me set the stage. A former student that we playfully nicknamed “Root” because of his extreme stiffness and general fear of falling ~ which literally rooted him to the mat” came staggering out of the attack line towards me. He was rapidly falling forward towards me in what may have been confused as a running version of the standard zombie attack you see in any “Walking Dead” episode. In retrospect, I think his card must have read “Lunge at man’s throat with both hands.” Anyway, with Root staggering wildly towards me, and hands out in front, he was completely off balanced when I executed a last second tenkan 1 with a hamni turn (180 degree pivot) to move out of the way. In fact, before I could even “hook up,” I watched him literally stumble and fall face first down onto the mat. At the time I was actually disappointed that I could not secure the Elbow Chop, as that was my intention, but looking back I now realize that effective movement can be its own technique. 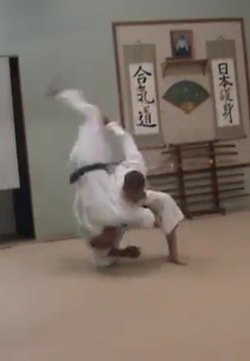 Now we all know a picture is worth a thousand words, and since I don’t have a video of Root face planting on the mat after my Tenkan 1 with hamni turn, I figured I’d search the web for some awesome Tenkan movements. Unfortunately, there aren’t many out there. That said, I did find one exquisite application of the basic Tenkan 1 Movement Application (without the hamni turn) in a battle between two Sumo wrestlers. See movie to the left. In my mind, the sumo wrestler gets a gold star for this display of Tenkan 1 awesomeness. Post your comments or observations below. In this picture, it is pretty clear that I have disrupted uke’s balance. Great breakfall Tito Garcia!